Owing to the wide experience of this domain, we are instrumental in offering Polyester Enclosure to our clients. Sky Power Tek Pvt. Ltd.
- Electrical machine and equipment manufactures. - Outdoor installations especially in hostile / aggressive environments. - feature plain walls and captive stainless steel screws for the cover. 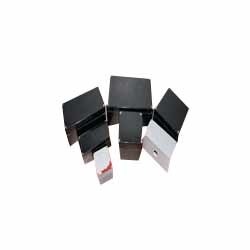 - suitable for chemical and petro-chemical environments. 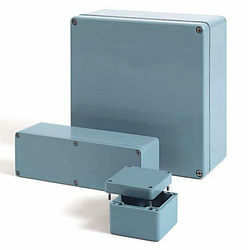 The polyester range of modular enclosures, conforms to IP 65 for single door and IP 54 for double door enclosures. The modular enclosures are a glass fibre reinforced polyester design with double insulation offering the users maximum safety. Different modular enclosures can be combined together to achieve larger configurations. IP 65/54, TYPE 4, 4X, 12, 13, IK 10/07.